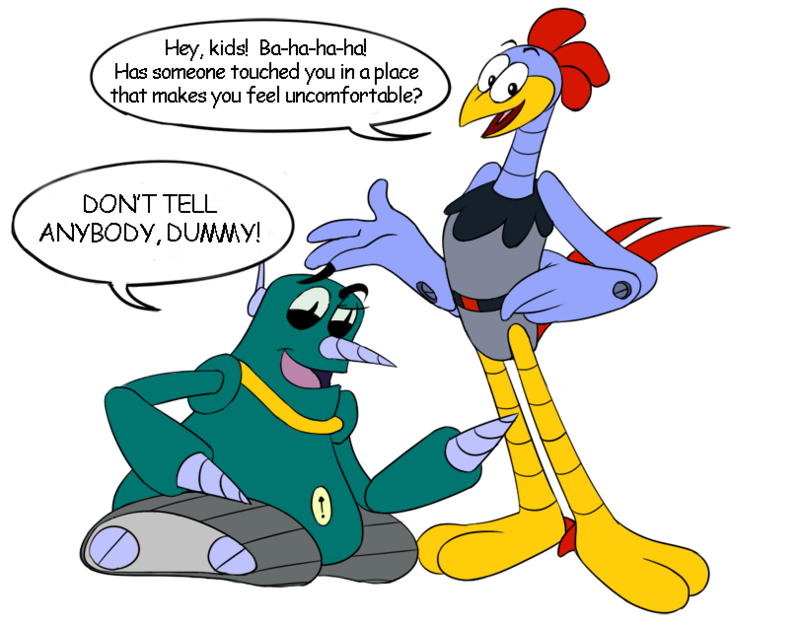 Sundays With Scratch & Grounder: Touching! Hey, dummies! We’re back! We weren’t allowed on Retro until Scratch went to Racial Sensitivity Training. He’s all good now. Ba-ha-ha-ha! I love all people! Sundays with Scratch & Grounder: School!